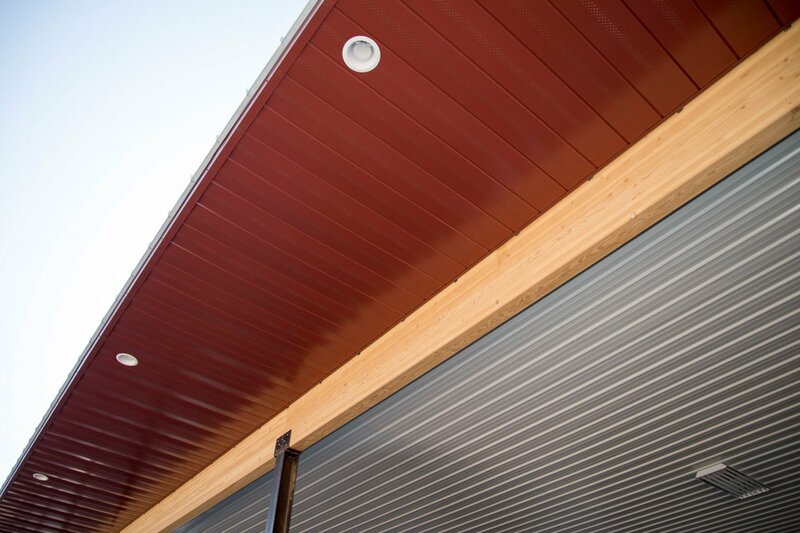 Soffit panels are a type of building panel that connect the roof overhang with the side of a building. These panels are typically installed on the eave of a building to protect the structure from animals and weather. 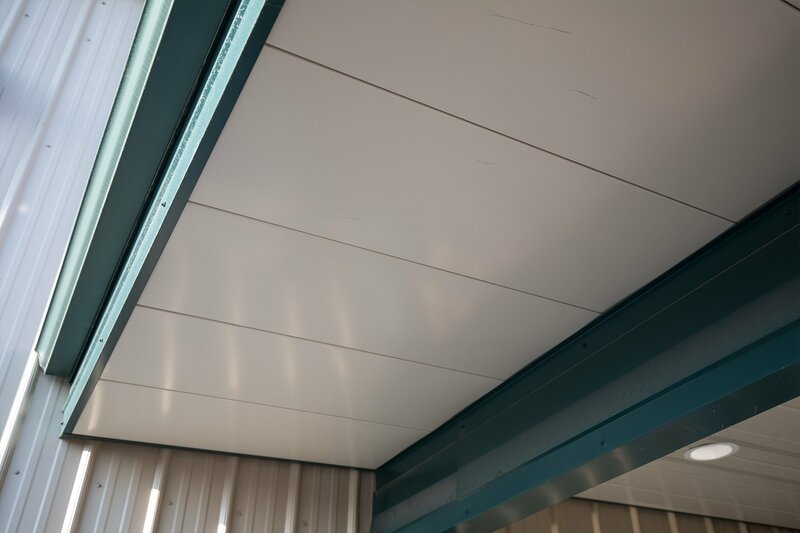 From vented panels that help with air circulation to v stiffeners that reinforce the durability of these panels, there are many variations of soffit panels for all different building types. Bridger Steel's V Soffit Panel offers an interlocking 12" wide concealed fastener panel. This panel features a small inverted v rib located in the center for added strength. Used for soffit, wall, fascia, and liner applications. These soffit panels line up together for a modern, minimalist look. Flush Soffit works well as a subtle interior panel, wall panel, and as part of a roof venting system.